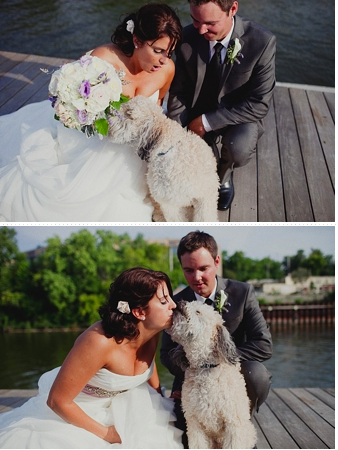 Sarrie and Mike has a beautiful boathouse style wedding located right in Milwaukee, Wisconsin. Their wedding had tons of extra special touches and unique themes — they even included Yoda in some of their wedding photos! The gorgeous outdoor location made for the perfect setting to include their adorably fluffy white dog… we are absolutely in love! See more photos here.